– serve on sandwiches, salads, in wraps (remember this? ), on top of burgers, with brown rice, and any other tasty way you can dream up. or eat them straight out of the jar like i do! As another salad fanatic, I can't wait to try this. Great idea. And beautiful to boot. I am really getting into preserved things like this, so thank you! I know my Mother will love this recipe too, so I think this is something when I go back to my parents house this Summer, even if it means I won't have the LA sunshine as a backdrop to eating them! 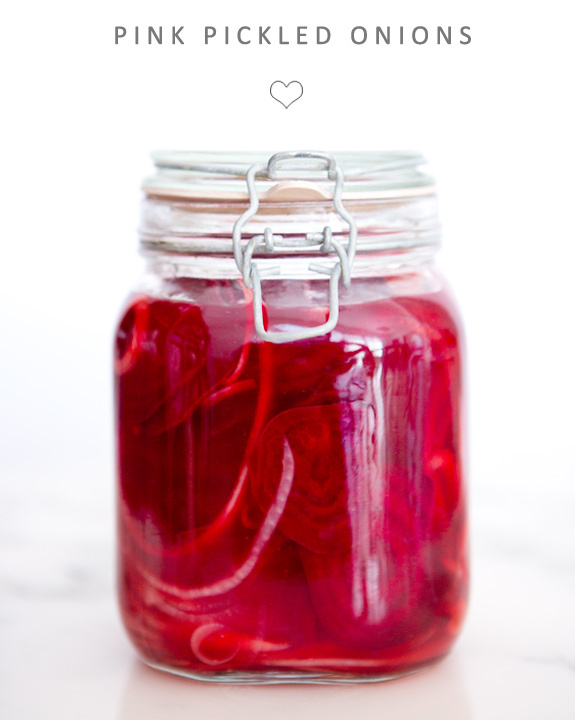 We love pickled onions on tacos (like this http://bit.ly/13V05bO). 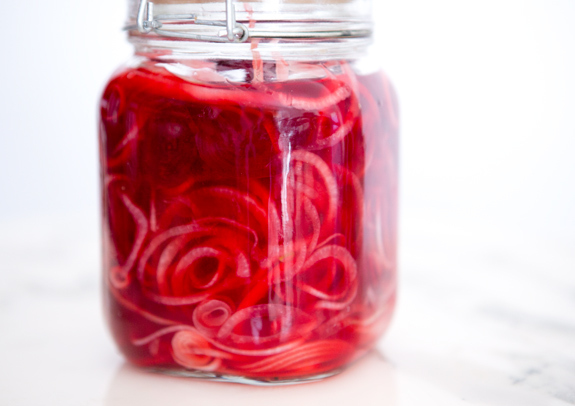 I make mine with red onions, so they also turn a beautiful pink…will have to try your version! i was going to say the exact same thing as lauren above – i love pickled onions on tacos, with fresh lime, cilantro, a little goat cheese – yum.